It’s not exactly a secret that golf has been under siege over the past decade, with some quick to write it off as a ‘dying sport’. There are various indicators to substantiate that it is, at best, stagnating, and one of those is the sales of golf equipment. 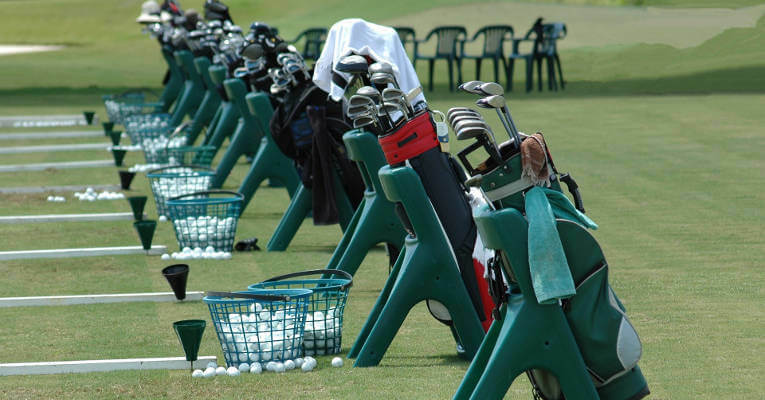 Research from Golf Datatech found that the US golf equipment market totalled $2.55bn in 2015. Ostensibly impressive, except for the fact that this represents a 3 per cent decline from the 2012 equivalent. And that’s not even factoring in inflation. Since the financial crisis, the game of golf has been under increasing pressure, with participation dwindling in almost all corners of the earth. There are many reasons why this may be happening, but few would argue that the biggest barrier to entry – and indeed continued involvement – is cost. This is a feature of everything from green fees to golf balls, but clubs in particular have become prohibitively expensive over the last couple of decades. Whilst technology has advanced exponentially in that time, these benefits have not been accessible to average earners, who would struggle to justify spending $500 on a driver, or $2,000 on a set of irons. Extreme examples, perhaps. But you get the point. It therefore comes as no great surprise that the market for used golf clubs is on the rise. Although hard data is limited in this respect, a subsequent study from Golf Datatech showed that dollar sales of new golf clubs were down in every category (except wedges) in the year to date August 2016 when compared with August 2015. Yet rounds in the US were up by two per cent, while participation levels also held steady. By inference, it suggests a strong gravitation towards second-hand clubs, which is a case further strengthened by the array of outlets cropping up to accommodate this particular market. The PGA of America has a trade-in programme, while most manufacturers now sell pre-owned clubs. There are also many other intermediary sites which bring buyers and sellers together – the biggest of which are eBay and Amazon, where there are hundreds of thousands of listings. eBay in particular stands out from the crowd, as it is a medium for many retailers like Golf Avenue, Global Golf, 2nd Swing and 3balls, and also consumers to distribute used clubs. In just a brief search, we found a Titleist 915 D2 and a Taylormade M1 driver for under $100. We also stumbled across Mizuno MP-30 irons for $150, an Adams Golf IDEA Super Pro Hybrid for $50, and a Ping Anser V2 for less than a 100 bucks. And that’s just the top end. Scratching the surface of it, in fact. All of these clubs appeared to be in good condition – borderline brand new, even. The selection is endless, and the needs of beginner, intermediate and low handicapper are all handsomely catered for. Most importantly, the value on offer is hugely enticing, and the causes of this are essentially threefold. Firstly, sellers of older clubs tend to be consumers – many of whom prioritise a quick sale over extracting the highest possible price. This in turn lowers the bar, and has a knock-on effect right across the market. Second, so competitive is the marketplace for new clubs that, in a bid to make the marginal gains resulting from new, cutting-edge releases, ‘turnover’ of products among manufacturers is higher than ever before. As a result, excellent models end up on the scrap heap sooner than expected, and the secondary market becomes increasingly flooded. Finally, to compound this downward pressure on the cost of pre-owned clubs, let’s revert back to the original premise of this article: falling participation levels. Simple economic logic dictates that when fewer people are chasing an increasing amount of goods, prices will fall. Ergo, a buyer’s market, and better deals for you. There are of course some considerations when going down the second-hand route. Warranties will either be non-existent, or greatly reduced. Also, if you do purchase clubs from private sellers, there is an inherent risk that the condition may not be as advertised. Although eBay offers transaction protection through a dispute system and its Paypal payment protection, this raises the spectre of bureaucracy. That said, it is little wonder that the market for used golf clubs continues to go from strength to strength, and it is undoubtedly having a positive effect on the sport as a whole. Slowly but surely those dollar-signed barriers are being chiselled away, as newbies – and even seasoned campaigners – realise they can get their hands on quality clubs at a very reasonable cost. Expect this particular niche to keep on growing, and, hopefully, it will bring many more players to the table in the process. After all, if the trend of recent years can be reversed, and more feet come through the game of golf’s door, everybody across the wider golfing industry wins.